It might seem like a distant memory to some of us, but to many people who are still facing the aftermath of the flooding, life must be very tough. Here an industry expert gives some advice on what to do to protect your home from flooding in the future, and how to cope. 1. What’s the best piece of advice you can give people that know they live in a flood-risk area? If you know you live in a flood-risk area, it’s important that you keep up to date with the latest information and guidance from the Environment Agency. You should also find out if there are existing flood defences in your area of if any future developments are planned to implement any. If you live in an area without any flood defences it may be wise to think about investing in your own. You can tank your property by having a metal structure placed under your house. You can also consider having soakaways installed and always have your own sandbags on standby. In terms of insurance for your property, hopefully your existing insurer will continue to insure the property whilst you own it. However changes to the Government and insurance industry flood agreement (Statement of Principles) mean this may not be the case going forward and underwriters can decide if they want to give flood cover. However, an agreement in principle between UK insurers and the Government to develop a not-for-profit flood fund – known as Flood Re – to ensure that flood insurance remains affordable and available to homeowners at high flood risk is coming into place potentially in 2015. If no insurance cover in place already and you are buying a property in a flood risk area you may need a specialist insurer. 2. Are there any preparations people can make to their homes to help prevent damage from flooding? There are obvious things such as moving your possessions upstairs if flooding is imminent. Make sure you move valuable items e.g artwork and make sure they are safe. You need to be aware that not only is water an issue but also vapour and moisture can damage delicate items. You could also consider protective window panels and waterpoof doors for your home. 3. What help and advice is out there for people who have been affected by flooding during the recent difficulties? The Environment Agency website has a wealth of information which can help you. You should contact your insurers as soon as possible and many charities are providing . helplines to flood victims. From 1st April 2014, Government grants to help people affected by flooding will come into force giving homeowners up to £5,000 to help homeowners protect their homes from future flooding. 4. How easy is it to get compensation from insurance companies once homes have been affected by flooding? If your policy specifically states that you are insured for flood you shouldn’t have difficulties. If it does not, it may be tricky to get compensation. It has been reported that some insurers have been slow to compensate homeowners. If you have a specialist policy or high net worth policy through a broker, it should be easier. 5. For homes that have been flooded, how do they go about getting home insurance in the future? You existing insurer should continue to provide cover for you in the short term. If you live in an area which has not flooded before this year, your insurer should cover but you may find it hard to change your insurer in future. You may find you need more specialist cover and advice and this is where an insurance broker can add real benefit. Unfortunately your premiums will probably go up and potentially you may have larger excesses on policy. 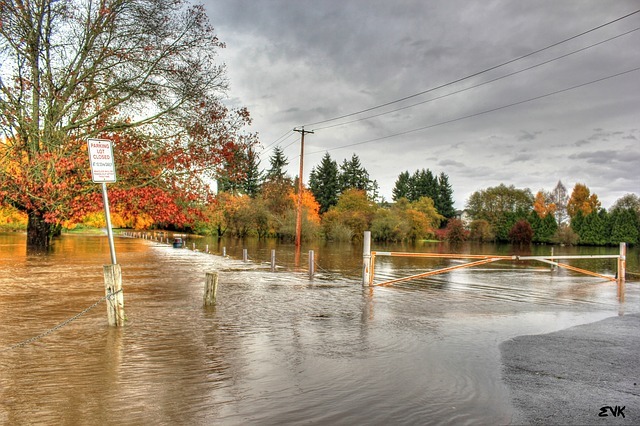 Previous flood damage may also make it hard to sell on your property in the future. I don’t live in a frequently flooded area myself, but many people a short distance from here were flooded last year during a period of frequent heavy rain. I am curious what insurance companies base the risk of flooding on. Most of the homes damaged last year had not had any water issues for at least a couple of decades. These are great ideas for protecting against floods. I love the idea of having your own sandbags on standby. That is definitely a takeaway for me.